The movie "Big News" is a crime drama set around newspaper reporters. Already the first 10 minutes or so of the movie has several views of the newsroom in action. 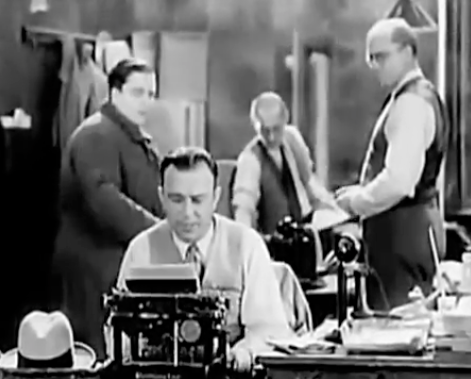 In the scene below one of the lead characters is typing away at his machine (whilst making snide remarks to his colleague Vera just arriving in the office). Also for the late twenties these look fairly venerable machines. (Remington 10?) But then, office equipment was expensive and these machines were built to last. This may also of course just be what the prop department came up with. The set would perhaps be made with the inventory from a newspaper office that modernized or shut down. 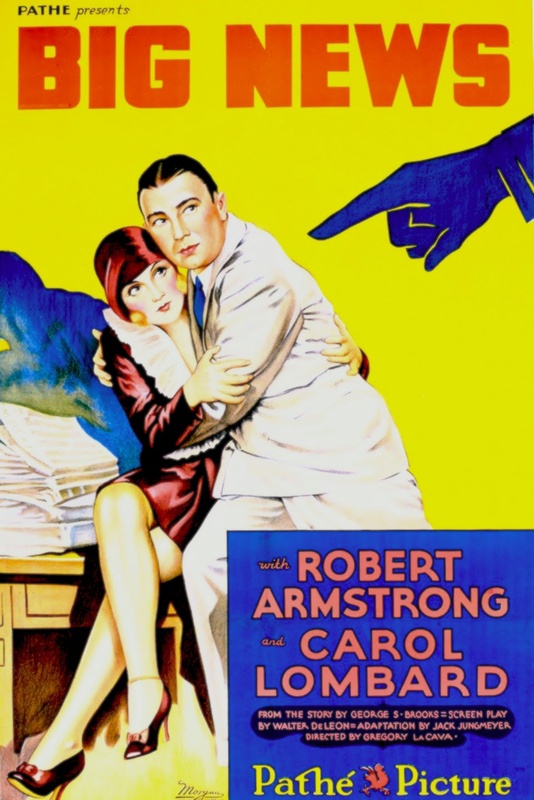 The movie "Big News" was released in 1929. In American terms a 'pre-code' movie. This one definitely is that; a drunken lush of a lead character discussing grounds for divorce. Such undermining of public morals would not be permitted after '34 or so. Even though the movie is dated and to modern cinema standards quite slow-moving, it is very modern in other ways. Frank dialogue and working wives with successful careers. Talking movies were still very new then with limited experience in recording. That probably partly accounts for relatively static scenes. This movie survives only on a 16mm reduction print, resulting in the fairly poor image quality. The original would have had sharp, crisp images - it's a small miracle that actually even this 16mm print with sound survived at all. Newspapers were great settings for movies -- especially screwball comedies.